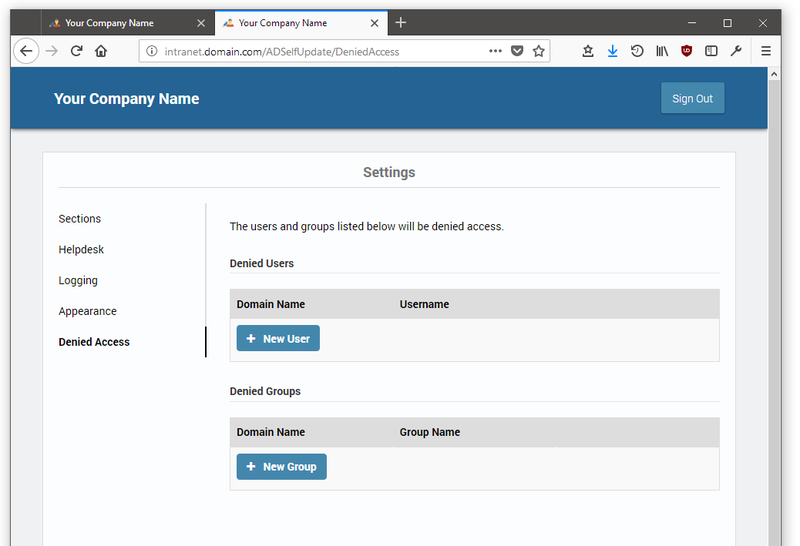 AD Self Update allows your users to update their details that are held in Active Directory, AD Self Update is fully configurable so you can allow users to update their contact information such as phone numbers, mobiles, office, title, addresses etc or other attributes such as Car License, Employee Number etc. 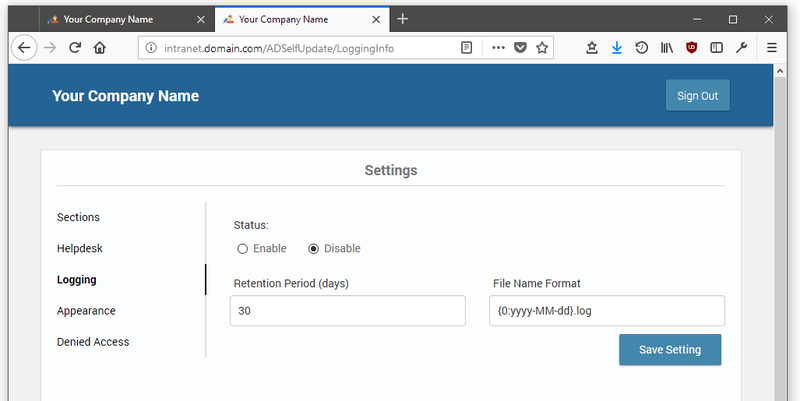 Improve the reliability of your employee data, allow your Active Directory Users to update their own details. 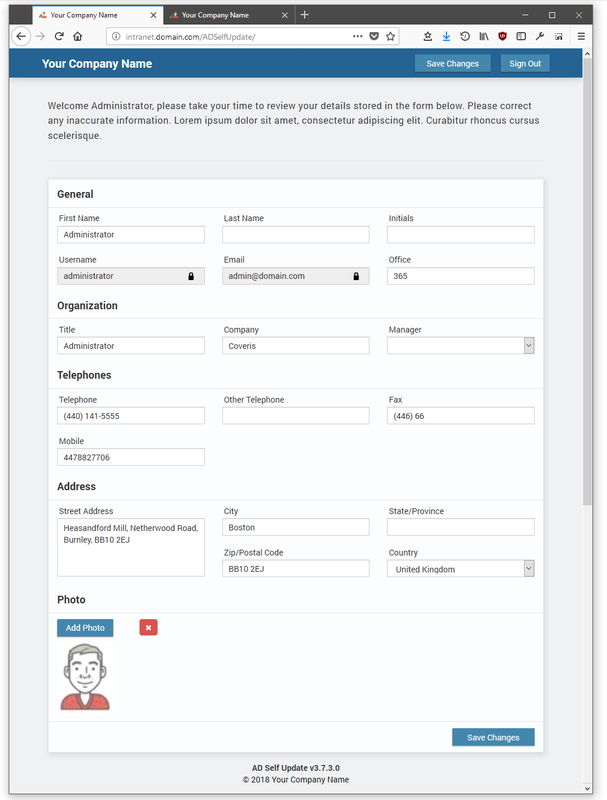 AD Self Update is ideal for keep contact information and employee details up to date. 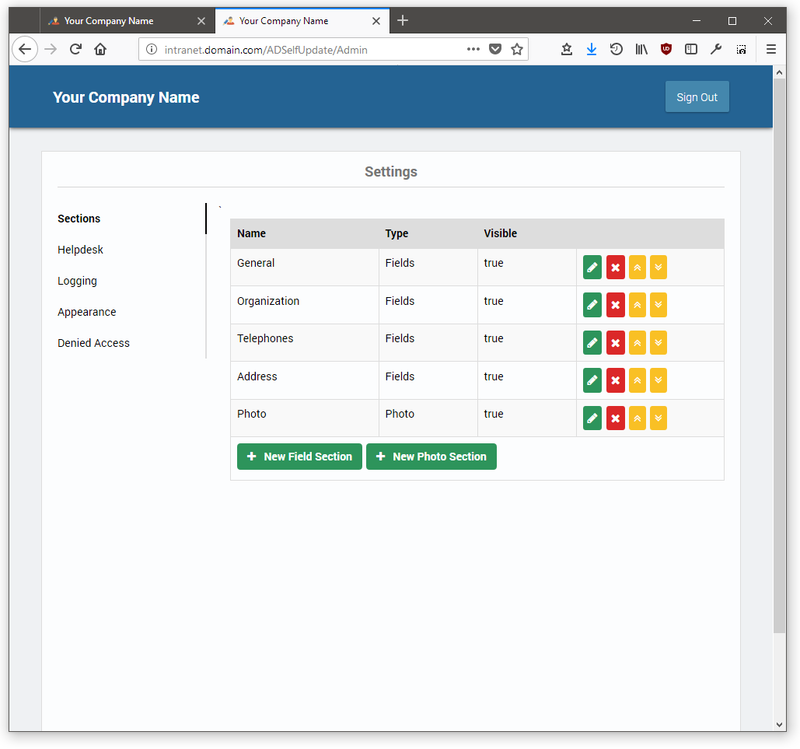 The web interface is fully customizable you can customize the look, add your company name and help desk details, you can configure which attributes the user sees and which they can update. Data stored in Active Directory data is at risk of getting out-of-date as users change phone numbers, offices, titles, addresses etc, save your helpdesk time and keep your data reliable. Active Directory contact details are visible in your Exchange address lists keeping your user’s contact information up-to-date keeps everyone productive. AD Self Update is ideal for use with AD Phonebook (employee phone directory). 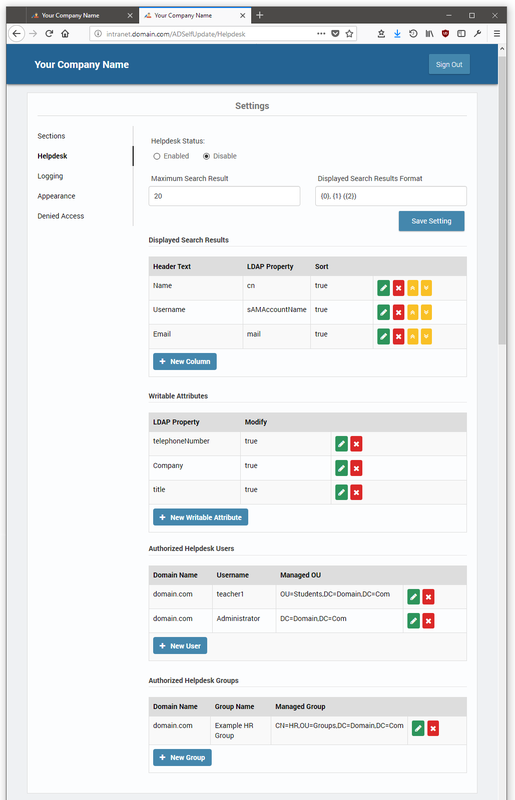 You can download a free trial for evaluation here and the documentation can be found here. Do you need to HR or your helpdesk to update Active Directory without giving them access to Active Directory? 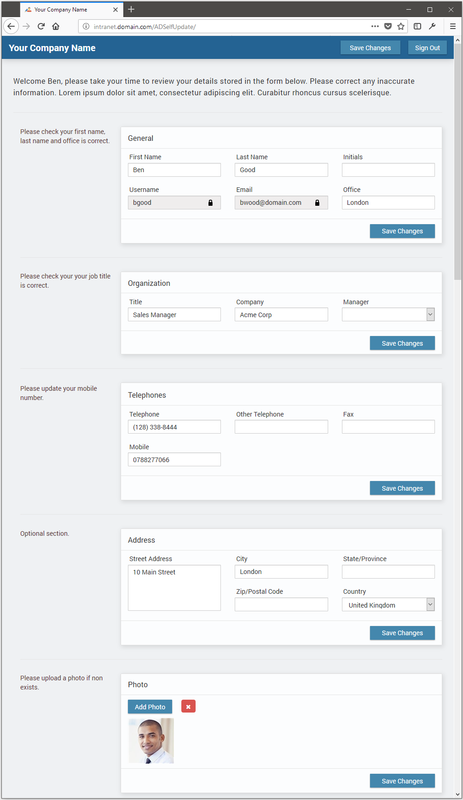 The helpdesk mode allows you to give a specified user or group permission to update a specified OU or group. For example, ‘HR’ could have permission to update all users job titles and department, your helpdesk could have permission to update mobile and users photos. Create sections containing the fields you want to be editable by your users, fields can be marked as read-only if needed. Do you want to allow certain users to update other users? Using the Helpdesk mode you can assign chosen users the ability to update other users, for example, the HR department could be allowed to update employee addresses and job titles. 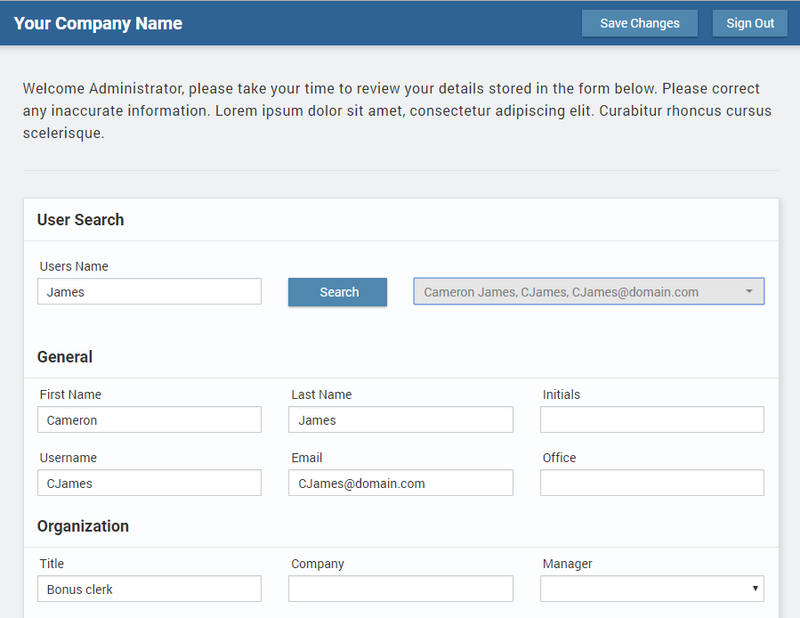 Customize the look of the form your users will see via the Appearance tab. Should you prefer the form elements to more compressed you can enable the alternative view below by unchecking the option ‘Enable Sections’ on the Appearance tab. AD Self Update installs on a Windows Server with IIS installed. Download a trial below, takes 5 minutes to install and test.